Hello everyone! 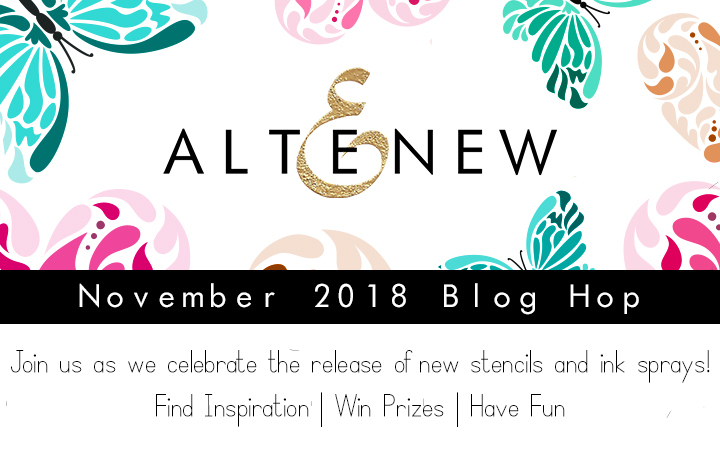 I am very happy to be participating in the Altenew November 2018 Stencil/Ink Spray Release Blog Hop today! 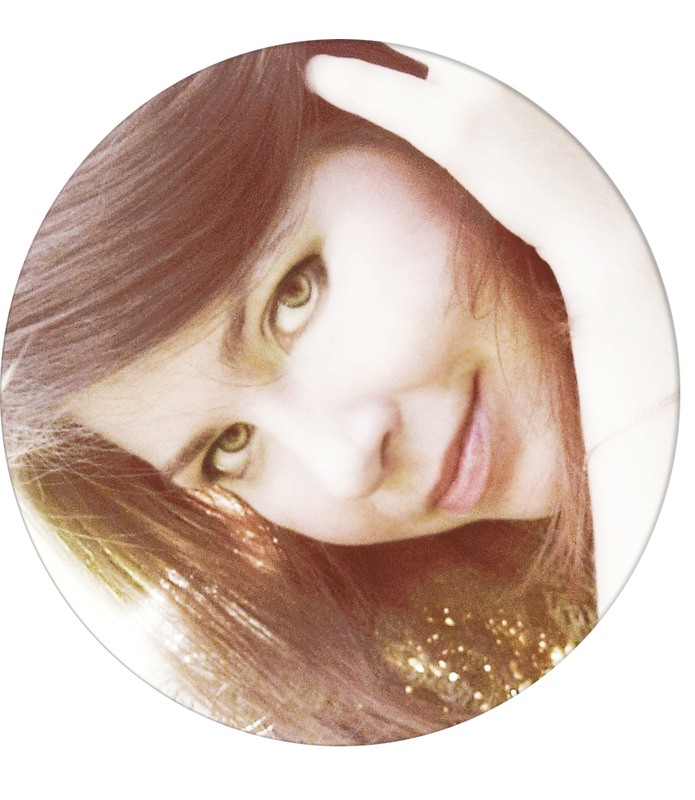 You should have come from Altenew Scrapbook Blog, but if not please start at the Altenew blog. A detailed process of these cards you can watch here on this post or in HD at my YouTube channel. I made a several cards to celebrate Altenew new release! My first card with Wavy Grid stencil. I blended some distress inks onto white piece of cardstock. I used Peacock Feathers, Cracked Pistachio, Tumbled Glass and Scattered Straw distress inks through the stencil and covered it up with glitter paste. Once my background was dry, I trimmed the edges of my panel using my paper trimmer and adhered my panel onto white card base with liquid glue. Then I die cut Love out of gold cardstock and adhered on top of my panel. My second card is the same as first. 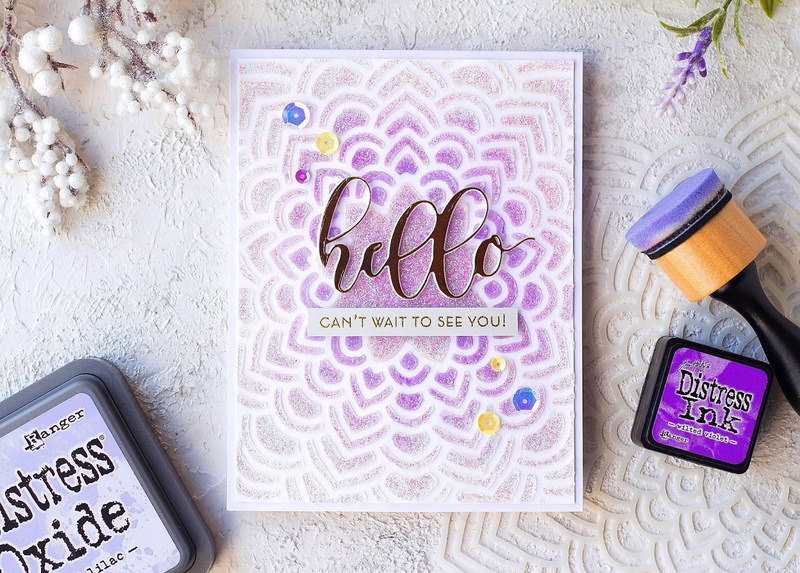 I used Floral Mandala stencil and blended Shadow Lilac and Wilted Violed distress inks through the stencil and covered it up with glitter paste. For the sentiment I die cut Hello out of gold cardstock and adhered on top of my panel. My Third card with amazing Beveled Squares stencil. I mixed some Altenew Lagoon Ink Spray with embossing paste and and covered it up through the stencil onto piece of white cardstock. Next, I die cut oval out of white cardstock using Create-A-Wreath die set. I used negative and trimmed the edges of my panel. Once embossing paste was dry I adhered that panel onto my background using foam tape. Next, I die cut Thinking of You out of gold cardstock and adhered on top of my panel with tiny pieces of foam tape. Then I stamped the flowers from stamp set with Altenew inks, die cut with coordinating dies and adhred to my card with foam tape. 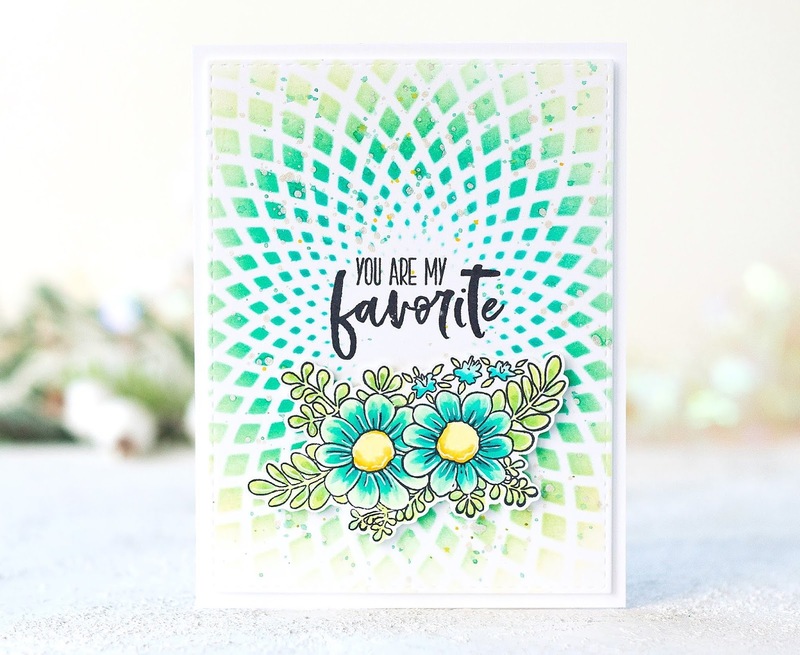 My next card with gorgeous Sunburst stencil. I blended Peacock Feathers, Cracked Pistachio and Scattered Straw distress inks over the stencil and splattered my panel with the same inks and silver paint. 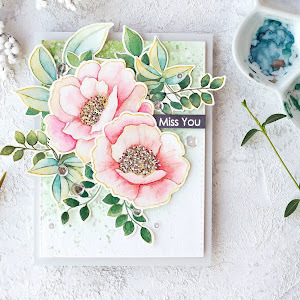 Then I colored the flowers from Dearest Friend stamp set with Altenew Artist markers, fussy cut with scissors and adhered onto my card with foam tape. I stamped a sentiment from Playfool Blooms stamp in black inks. My last card with Wavy Grid stencil, again. I used Worn Lipstick and Scattered Straw distress inks for blending and splattered my background with the same inks and silver paint. Next, I stamped the flowers from Life is Awesome stamp set with Altenew inks, die cutting with coordinating dies and adhered onto my panel with foam tape. 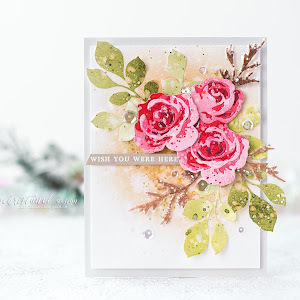 The sentiment is from Playfool Blooms stamp set also. To finished my card I've added a few sparkling sequins. To celebrate this release, Altenew is giving away a $50 gift certificate to SIX lucky winners! 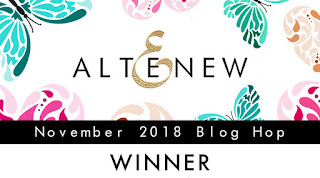 Please leave a comment on the Altenew Card Blog and Altenew Scrapbook Blog by 12/3/2018 for a chance to win. Six winners will be announced on the Altenew blogs on 12/7/2018. I will also randomly choose a winner from the comments left on this post and the prize will be $30 gift certificate to Altenew online store. One lucky winner will be announced on 12/3/2018 on this post. Hope you liked my cards! Don't forget to leave a comment for a prizes and a giveaway. Thank you so much for stopping by! Your next stop is Therese Calvird! The winner of $30 Gift Certificate is ANNETTE REED! Congratulations! 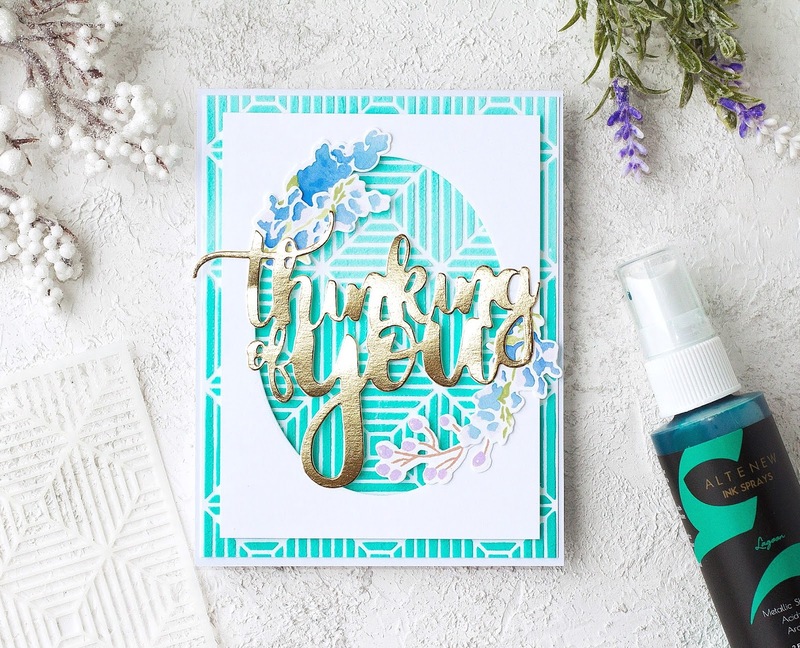 Please write at winner@altenew.com by 12/15/2018 with the subject line Altenew November 2018 Stencil/Ink Spray Release Blog Hop Winner from Kristina's blog. Wow! 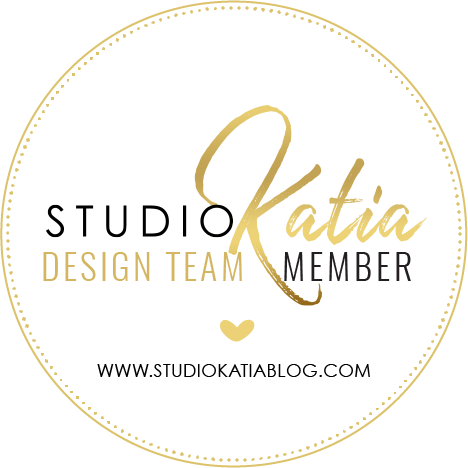 I love your style and would love to win a gift certificate to Altenew Blog to purchase several items!! Your cards are absolutely gorgeous. Thanks for sharing. 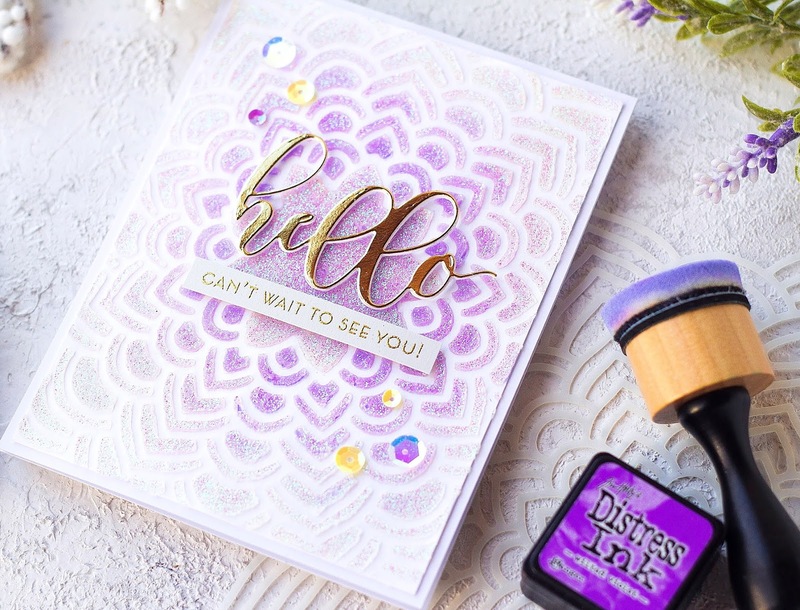 What great stencils in this release and your use of glitter paste really makes them shine. I love how you applied the glimmer paste after you put down the color. I am going to try that! Your cards were all so pretty! Love the new release. And the inspiration cards are awesome. I especially like the combo of distress inks and glitter paste. Love your cards! And the vibrant colors!!! Your cards are gorgeous!! I love the sparkle of the glitter paste! 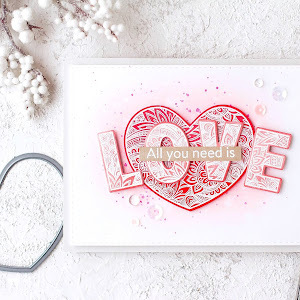 I love your cards you made using the new stencils! It has given me some new ideas to try out! I sure love these new stencils! 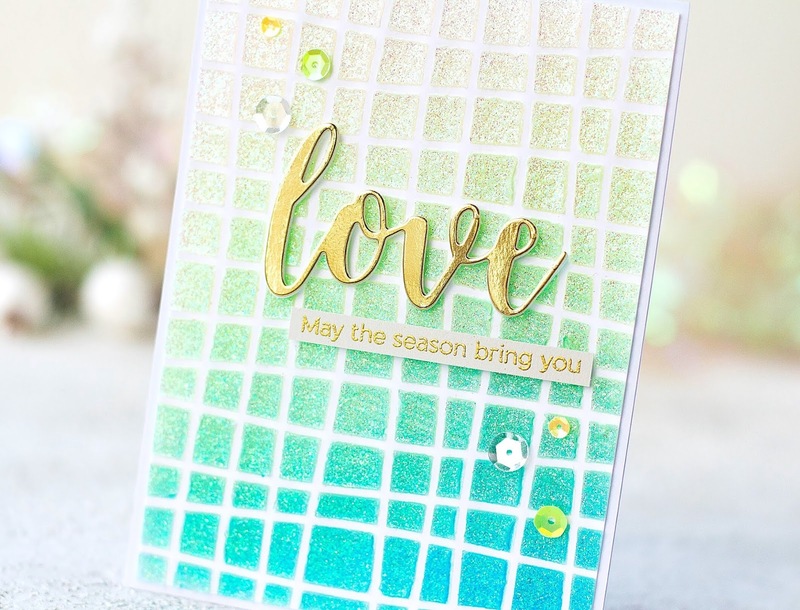 I really love the Wavy Grid stencil and your card is stunning Kristina! Gorgeous cards! Love the different way you created backgrounds with the stencils. Very nice blending, and the sequins are the perfect touch! I loved your thinking of you card! Such beautiful cards. Great use of the stencils! 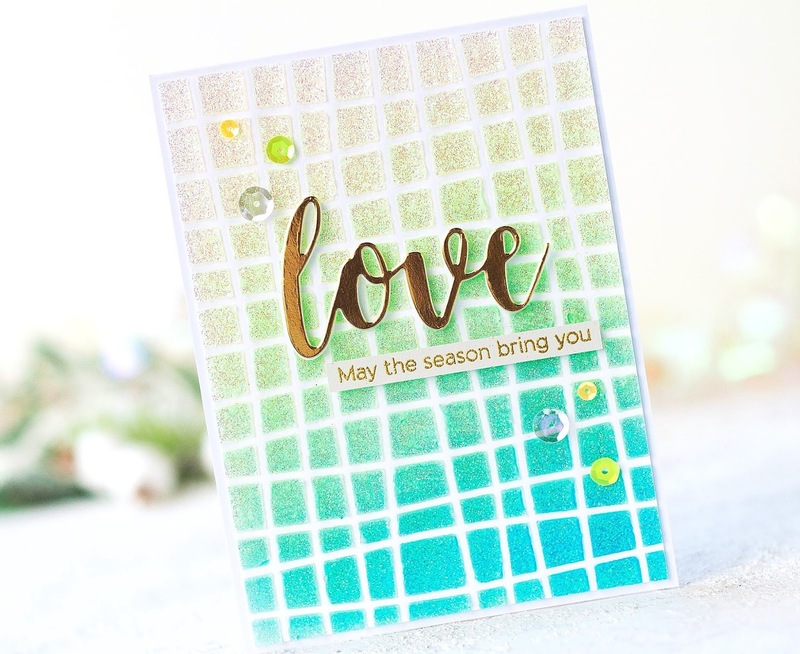 I loved what you did with the beveled squares stencil! Beautiful card! Absolutely amazing cards! I love each one. I am inspired to use my stencils. Thanks! All the cards are wonderful but your first card using the Wavy Grid stencil was my favorite. Thanks for the tips on some techniques for using stencils. 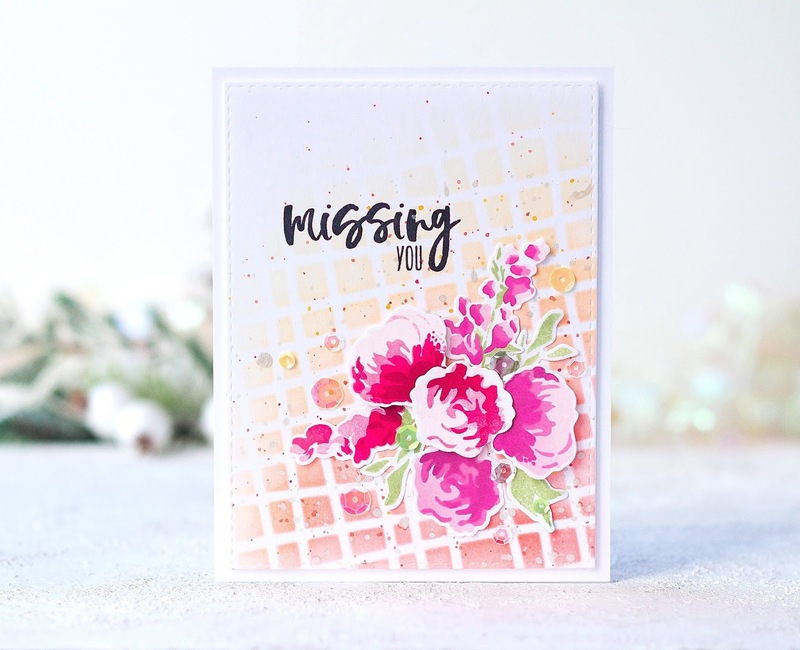 The card with the sunburst stencil in background is very dramatic with the flowers toward the bottom. Super job. Love your cards! Stencils make wonderful backgrounds. And, the sprays are so pretty. Fantastic cards! You bring something new and fresh to each one! I love all of your cards! Thank you for sharing your techniques with us! 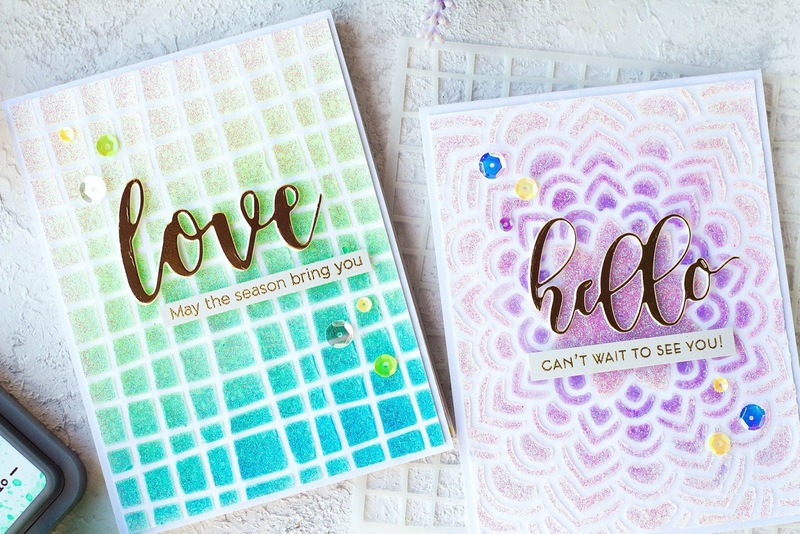 Love your stenciled backgrounds and the sparkle on some of them. 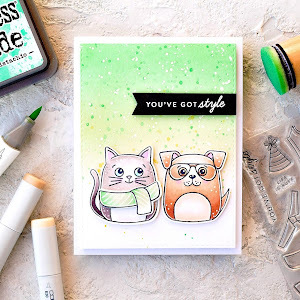 I love your pastel cards, especially how you blend the colors the colors. Love the glitter over the colors. first two are my favorites. Wow! All your cards are stunning! I really need to get into using stencils for my card making! Thanks for sharing your talent with us! Beautiful cards! 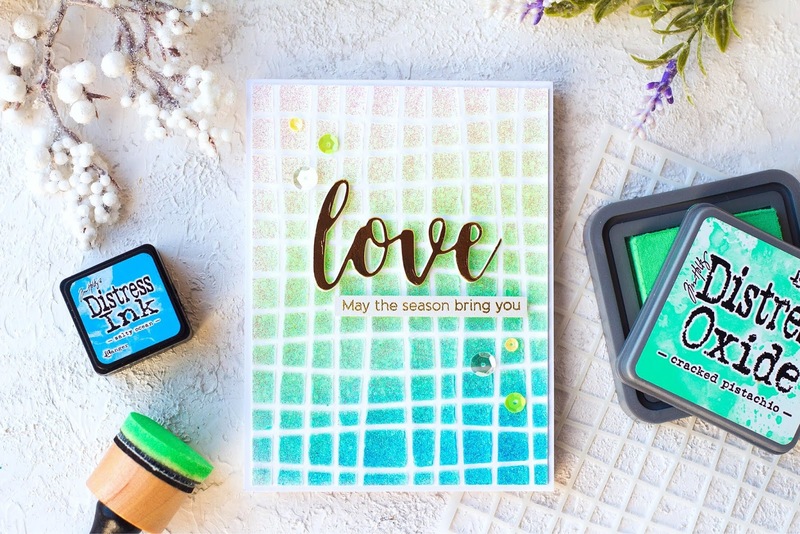 I love the look of the glitter paste on the stenciled distress ink. Absolutely gorgeous. 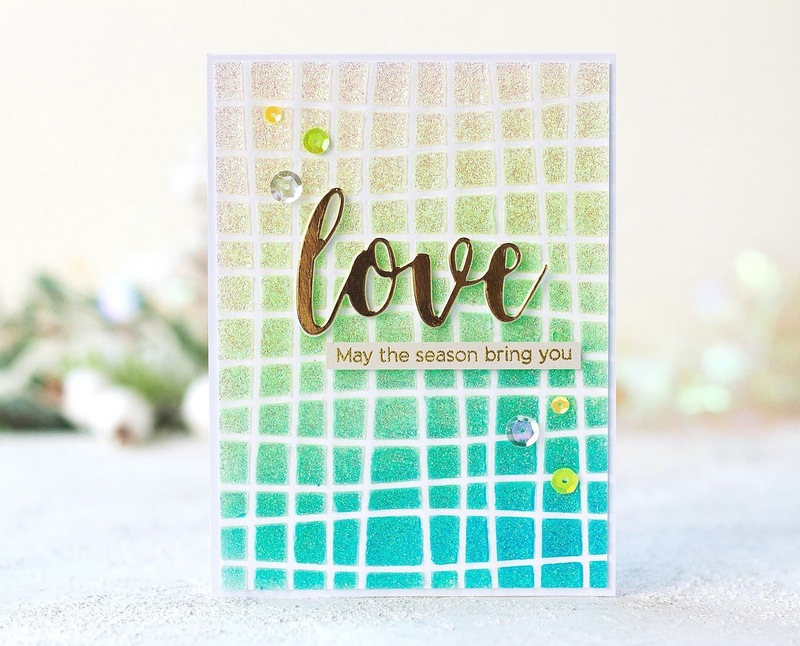 I like how you used the new stencils to create pretty, textured backgrounds on your cards. They actually make it easier than stamps to put the design exactly where you want it. Gorgeous card!!! Fabulous designs and great colour blending!! Gorgeous cards. I loved all the examples you created using the new products from Altenew. Thanks for the inspiration. 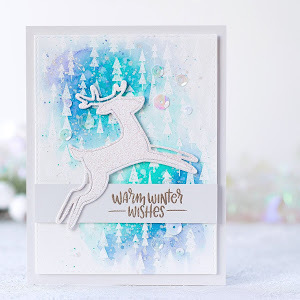 You have used the stencils from this release amazingly...Each of your card is so so gorgeous !!! Great samples. These stencils are awesome. I love your cards the glimmer paste is amazing! I love how you use the glimmer paste. I don't tend to use products that get messy but wow, the results inspire me to do this more! Beautiful cards! I especially love the glitter accents on the first ones! You created dome fabulous cards. I love the ink blending and then covering with glitter paste..... Really makes the new stencil designs shine. The ink colors are gorgeous and the new stencils great! 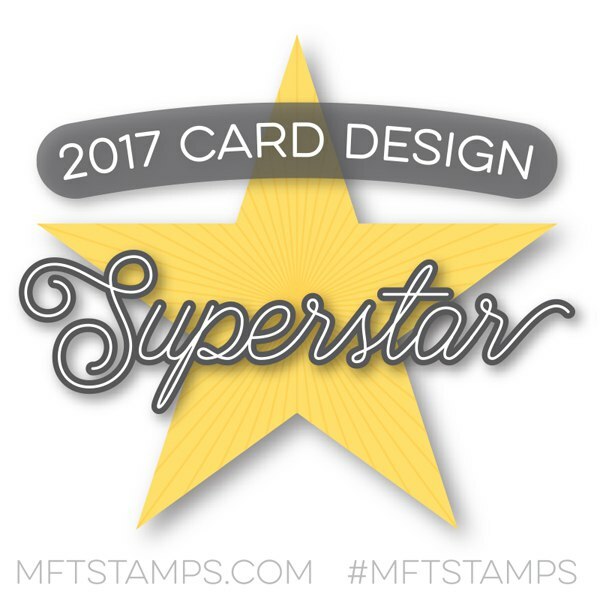 Just as each of your cards are fabulous! Gorgeous cards! I love the effect the glitter paste makes when used on top of the inks! Your cards are very beautiful. Love the hint of sparkling. These are all STUNNING! I love the sparkle and I especially love the purple! Beautiful color palette! They are such happy cards! WoW! These are all so beautiful! I can't even begin to choose a favourite. You've done it again Altenew. And these cards are simply beautiful as always! All your cards are simply beautiful, love, love, love the various colors on the backgrounds. My favorite is "You Are My Favorite". Beautiful work! I love your card ideas and I'm going to look for glitter paste ASAP!!! Thank you for sharing!!! Beautiful cards, I love the color combinations. Pretty designs. Your use for the stencils are just perfect. These are such beautiful cards! I often forget to use stencils, but when I remember about them again, boy do I love using them - they're so versatile and fun! 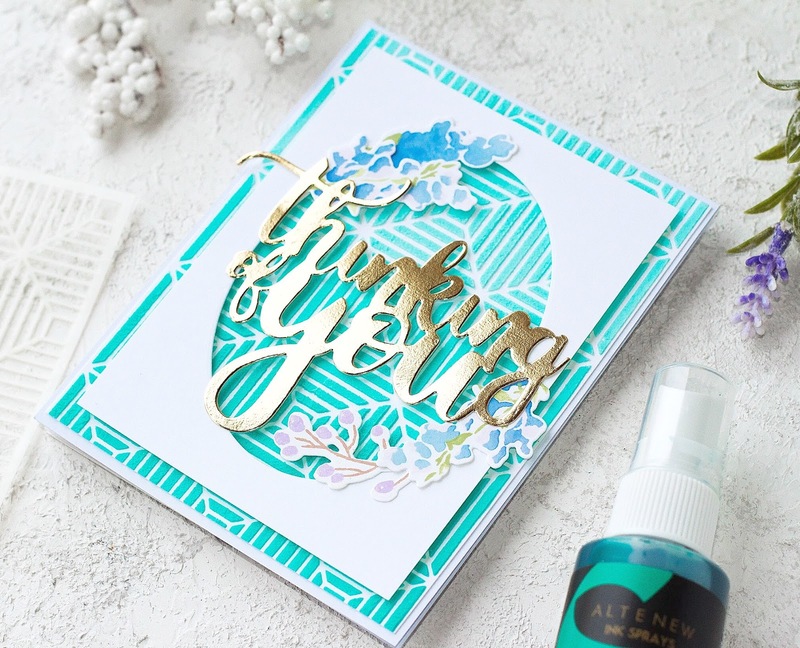 Gorgeous stenciled backgrounds - I love the use of the shimmer paste to give that extra oomph! I really liked your inking then adding glitter paste! My oh my you did Altenew proud! I am loving the use of the glitter paste. All that sparkle and shine is gorgeous! The "you are my favorite" card is my favorite as far as the stenciling goes. 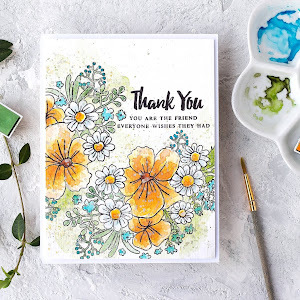 It is a beautiful design and with the coloring it makes for a stunning card. Great job! The glitter paste on the stencils is particularly pretty, and I'm so impressed with how you caught it in your photos. It's really hard to capture the shine, but you did it amazingly. Thanks for sharing these beautiful cards with us! I think I need some of that glitter paste. What a beautiful look. All of your cards are so pretty. You did a great job showcasing the stencils. All your cards are wonderful. Great job! All of your cards are beautiful! I love the different techniques you used and the layout of your cards! Your cards are just gorgeous. I love the look of the inks with the glitter paste. I will have to get some gold cardstock. The way it finishes off the card is just awesome. I love the glitter paste you added to the distress inks. It adds that extra elegance to your cards. Your colors are always beautiful, you seem to choose the best colors to go together. You used the stencils spendidly. Every single one of these cards is just beautiful. Wow! I have never used glitter paste, but I guess I have to look into it. I love the sparkly effect on those cards. You really know how to use these stencils to show them off! Thanks for sharing all these beauties! 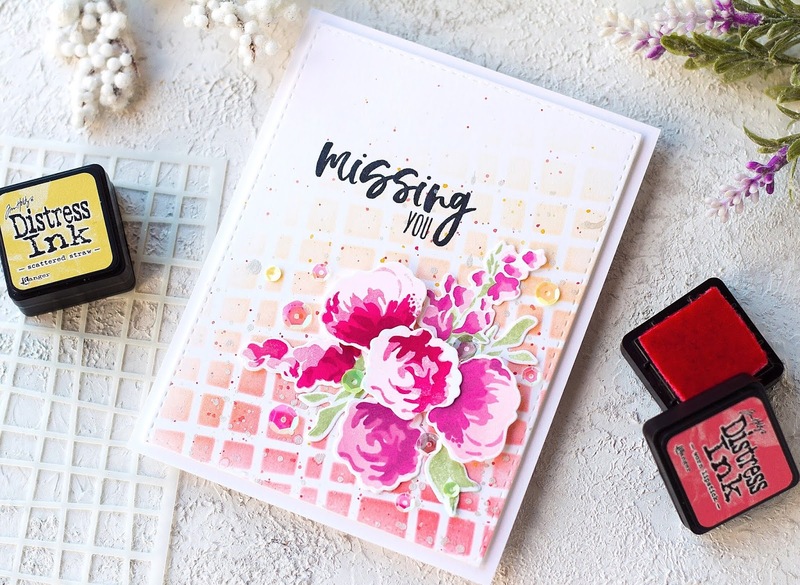 All of your cards are wonderful using the new stencils! Such fabulous creations! I love the glitter paste over those gorgeous colours! These are so pretty! I'm especially loving the look of glitter paste over the inking, gorgeous! I love the cards. My favorite is the Thinking of You card. I love the colors and the techniques you used with these wonderful new stencils. Beautiful cards. GLITTER PASTE!? OMG how did I NOT know about this sooner!? Running out to find some NOW! : ) p.s. all the cards are gorgeous! I love them all! 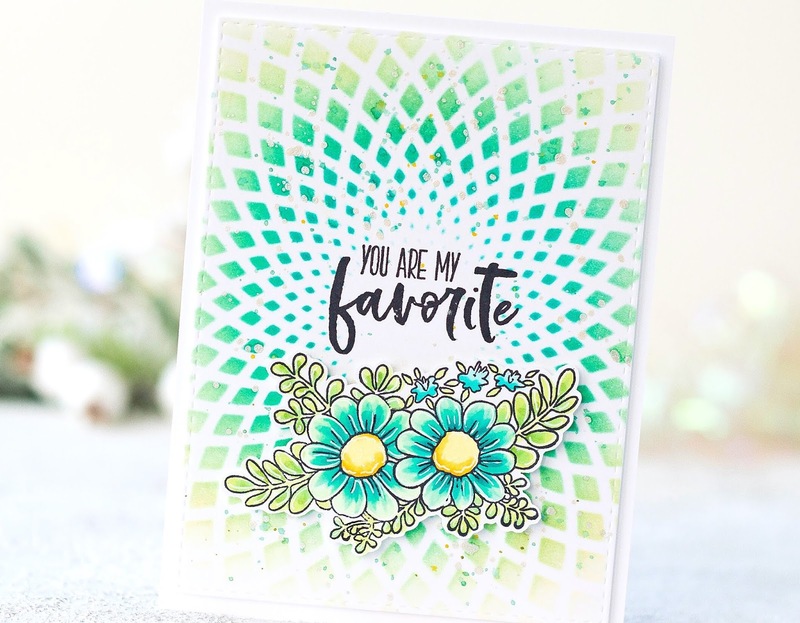 My favorite is the hello card where you used the Floral Mandala! The color and layout is amazing. 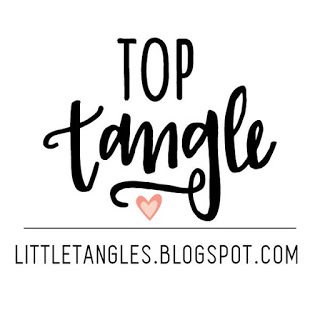 Thanks for sharing your technique with us! Stunning cards. Love these stencils. Your cards are absolutely gorgeous. You are so talented. By the way Merry Christmas and I hope everyone has a fantastic holiday! Kristina all these are beautiful, so beautifully blended. I hope you had as much fun making these as you have had drooling over them. I LOVE your cards!!! 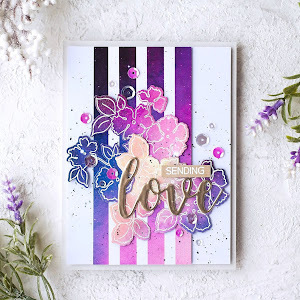 The look of the glitter paste over the distress inks is so gorgeous - now I really want to order glitter paste and try this technique out! Also never thought to mix the ink sprays with white embossing paste... good idea! I’m loving how you used the stencils for the backgrounds. Very creative! 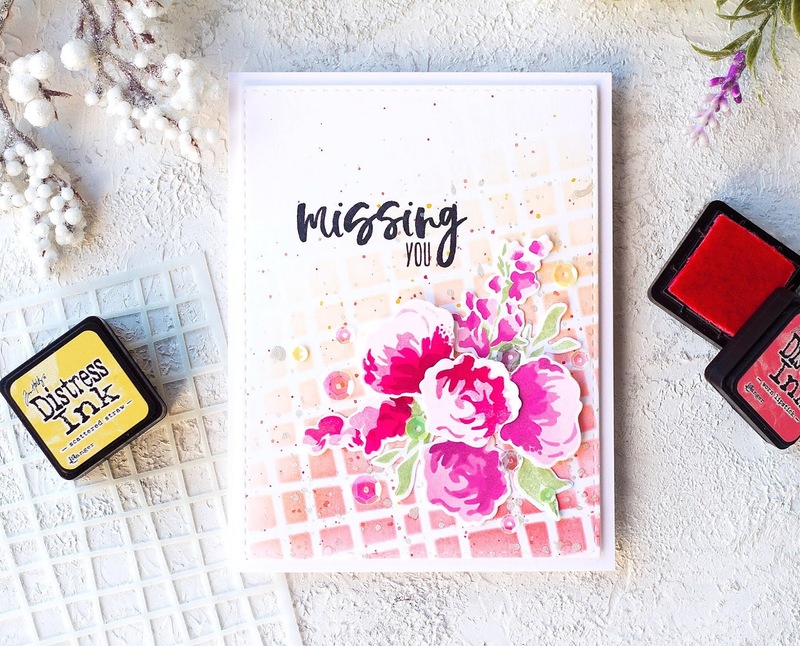 You've shared so many pretty designs on these fab cards. 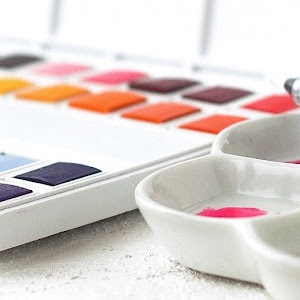 Love the palettes you've chosen that perfectly complement the images used. Thanks for sharing your creativity. Your cards are always so beautiful! I especially like the "Thinking of You" card. Thank you for sharing and the always awesome inspiration. Thank you so much!!!!! I am very excited. I have a bad habit of forgetting to check back on winners. I'm sure glad I remembered.